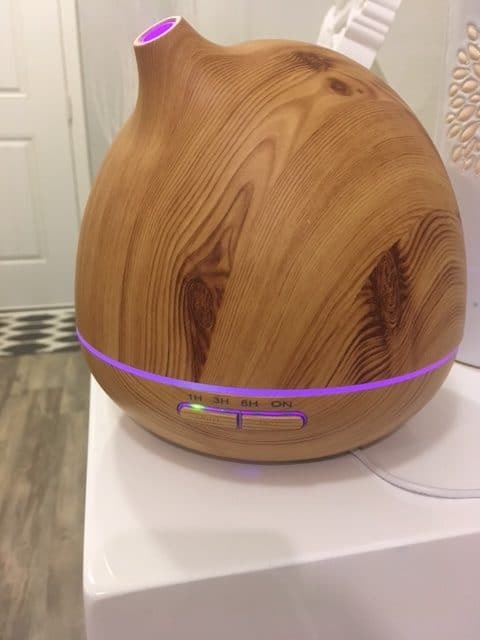 There’s a new 30% off coupon code on Amazon just for All Natural Savings’ readers on the same faux wood grain essential oil diffuser that I have, and it brings it down to it’s best price ever! This product normally goes for $35.99, but it’s marked down to $21.99 AND Vividay has allowed me to share the coupon code 30IFDYDD with you for an extra 30% off! This brings the price down to just $15.39, which is a hot price for a medium size, faux wood grain style diffuser. This would make a great gift! Just go here, enter the coupon code 30IFDYDD. The discount will appear at checkout. I love the look of this diffuser, it fit perfectly with my décor on my front entry way table. 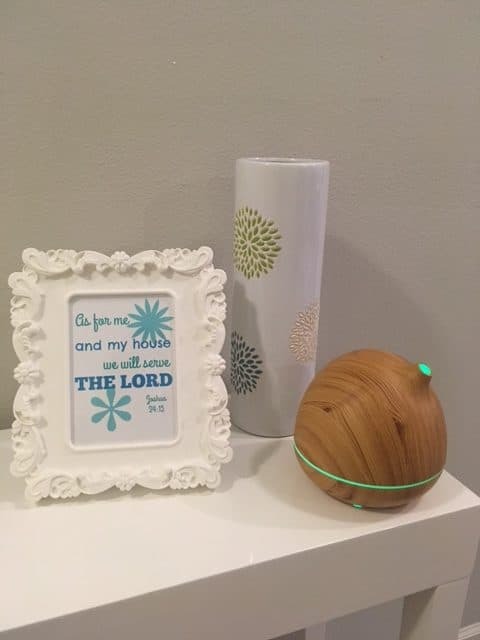 The diffuser changes colors, which makes it fun for my kids to watch. I has a 1 hour, 3 hour or 6 hour setting. It’s working flawlessly for me, is quiet and has an attractive exterior. Wow! This is a great deal so I took advantage of it right away. Thank you for that. Also, thanks for all your research, your time, and sharing. I’ve purchased several other things because of you and am truly thankful for the savings. I also appreciate finding new places to find natural and organic items like Aldi’s. You do a great job and I can’t thank you enough. God bless you and your family. Thank you so much for the kind feedback! I’m so glad it is helping you save. I hope you enjoy the diffuser! Thanks for sharing these super deals with us! I was wondering if you were aware of the square footage that this diffuser covers? I am looking for a new diffuser for a larger room and I was wondering if this one would be sufficient. Many of the brands I have researched cover around 300 sq ft. I can’t seem to find this information in the product details. I have mine downstairs and the scent fills up half or more of it, so I’d say it would work good for a larger room. Perfect! Thank you for your prompt response! Got it and love it!! Thinking of snagging one more! Thanks again! Oh great! So glad you love it!